Once virtually forbidden to the outside world, Myanmar (Burma) holds a special place in our hearts. Its temples are quite magical – and the people are welcoming, though shy, especially in the countryside. We’ve visited twice, the last time on a river cruise from Yangon to Bagan. 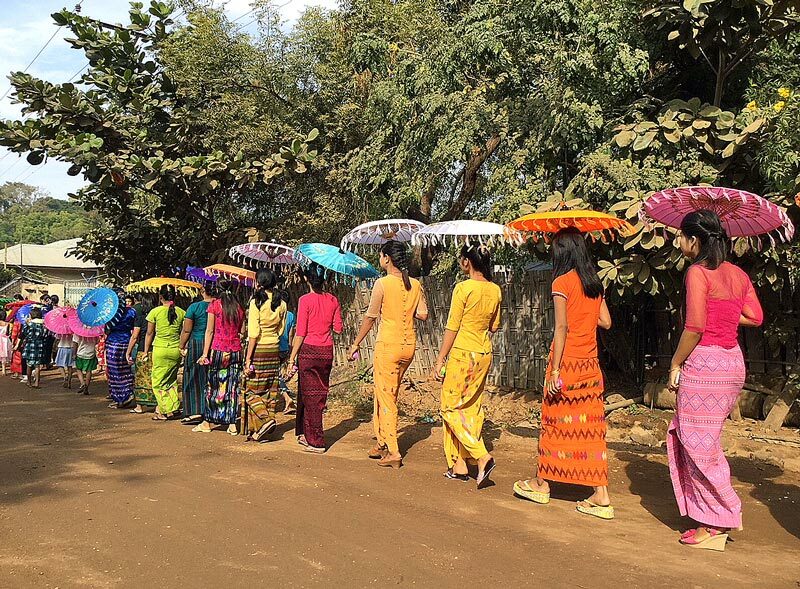 This photo by Peta Kaplan and Ben Sandzer-Bell of Green Global Trek, caught our eye not only for its color, but because we wanted to know where all those lovely ladies were heading in Bagan! Turns out it was to the monastery. “After an early morning walk through the majestic valley of temples in Bagan, we went looking for street food for breakfast with Burmese farmers. 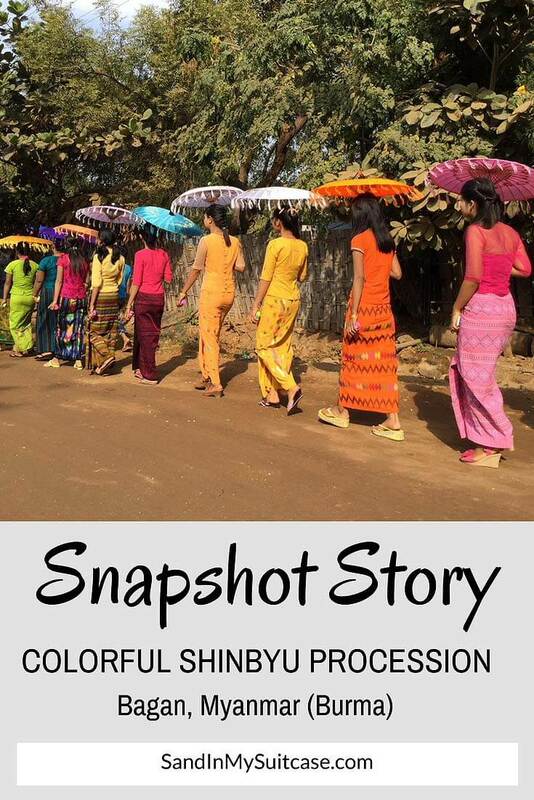 A flash of color and the sound of wagon wheels stopped us in our tracks – young women in the village, wearing local textiles and holding parasols in every color of the rainbow, were leading the villagers in a Shinbyu procession. Shinbyu is the Buddhist ceremony which celebrates boys, some as young as three years old, joining the monastery as novice monks. In Burma, it’s customary for young boys to enter a Buddhist monastery to learn religious scriptures, collect alms and, hardest of all, master fasting from noon until dawn. Some stay for just a short time, perhaps no more than a week, but many stay for a few years. And some go on to become fully ordained monks. 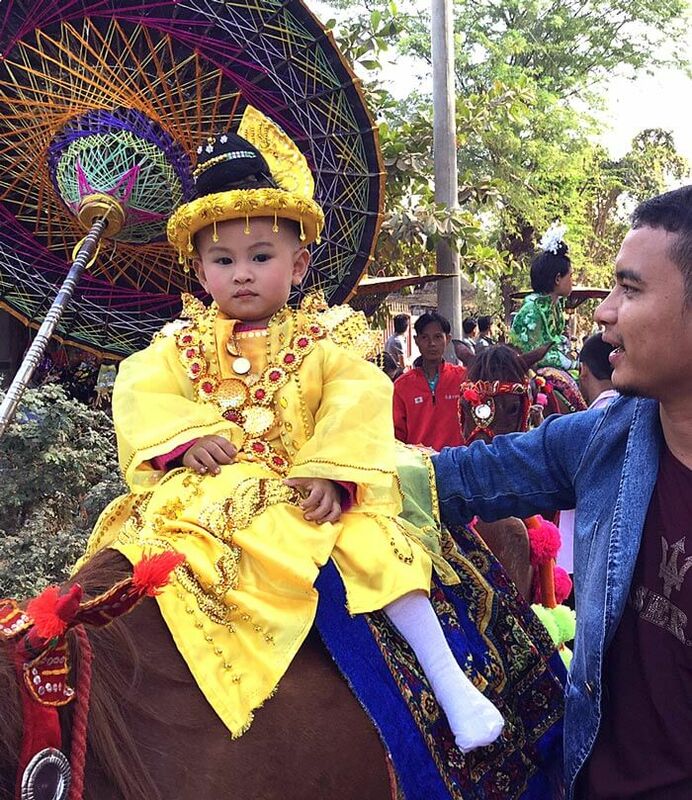 The Shinbyu begins with the procession to the monastery with the young boy dressed in dazzling gold silks to look like a royal prince or king. He’s led on horseback, shielded from the sun by a colorful umbrella. Once at the monastery, the monks shave the boy’s head and his princely clothes are exchanged for a simple saffron robe. This Myanmar festival is a highly ceremonial occasion, and it’s believed that good karma will come to families whose sons enter the monastery. Read more about this Myanmar festival! 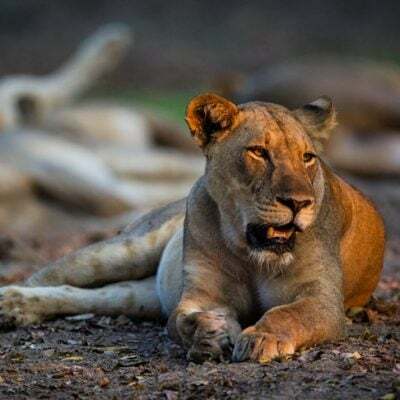 Peta Kaplan and Ben Sandzer-Bell are empty nesters on a green global trek, currently living on the tropical South Asian island of Sri Lanka, off the coast of India. They’re now in the 10th year of their nomadic global adventure, which started in Granada, Nicaragua, after their youngest son left home in Chicago for college. They have since chronicled and photographed their journey in Green Global Trek, covering over 30 countries in Asia, Europe and Latin America. A native South African, Peta is a photographer, painter, animal lover/advocate and yogi. Ben, a dual French-US citizen, is a business strategist, pianist, sculptor and passionate about animals too. They use their camera and iPad as a way to communicate and interact with locals, especially when they don’t have a verbal language in common. 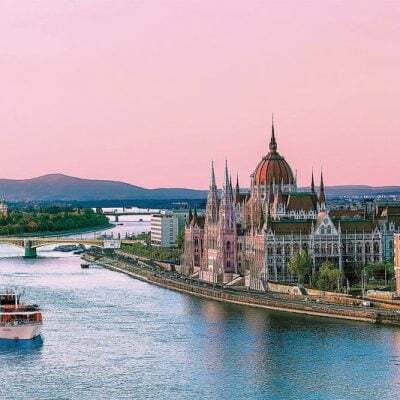 Do you want to share a travel photo? Thanks Janice and George for featuring two of our favorite photos from our travels to Myanmar. We look forward to following your blog. 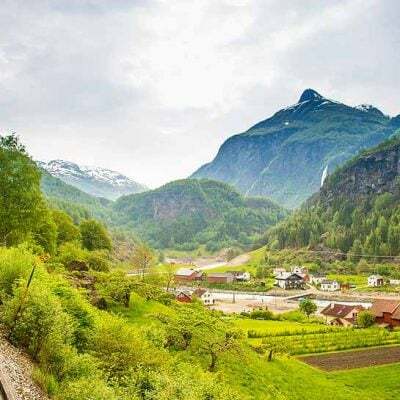 Welcome to you, and your readers, to our Green Global Trek! And thank you Peta and Ben for sharing your lovely photos! You were so lucky to see this procession :-). What beautiful photos. i love all those colours. No wonder that first one caught your eye. Does seem tough on such young boys to have to fast like that. I must check out Peta and Ben’s blog – they sound an interesting couple! Yes, those poor little tummies not being able to eat for the afternoon and evening! What a beautiful ceremony! Loved the story, and all the color in the photo! It’s touching how the local people go all out to celebrate the occasion of young boys going into the monastery for a while to study and learn. A happy time!